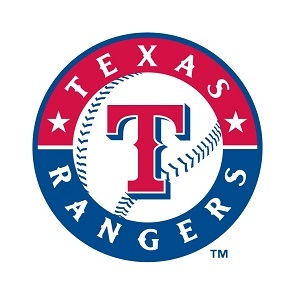 Thank you for your interest in doing business with The Texas Rangers. The Texas Rangers are committed to providing the maximum practical opportunity to diverse businesses as we evaluate potential providers of goods and services. The Texas Rangers Supplier Registration Portal will facilitate the sourcing of potential diverse suppliers by providing The Texas Rangers buyers with on-line access to detailed supplier capability profiles. To begin registering your company, select the registration button to the right. If you're already registered with The Texas Rangers as a potential supplier, please log in now to access your account. MLB does not guarantee or warrant the reliability or accuracy of the information you may obtain on the Diverse Business Partners SupplierGATEWAY web site. This site and the linked sites are intended to provide general information and guidelines only. They are not to be read as creating any express or implied promises or contract for business or employment, for any benefit, or for specific treatment in any specific situation. © 2001-2019 MLB Advanced Media, L.P. All rights reserved. The following are trademarks or service marks of Major League Baseball entities and may be used only with permission of Major League Baseball Properties, Inc. or the relevant Major League Baseball entity: Major League, Major League Baseball, MLB, the silhouetted batter logo, World Series, National League, American League, Division Series, League Championship Series, All-Star Game, and the names, nicknames, logos, uniform designs, color combinations, and slogans designating the Major League Baseball clubs and entities, and their respective mascots, events and exhibitions.